This Momlette is an easy, breezy fix-it meal, while at the same time light and healthy. 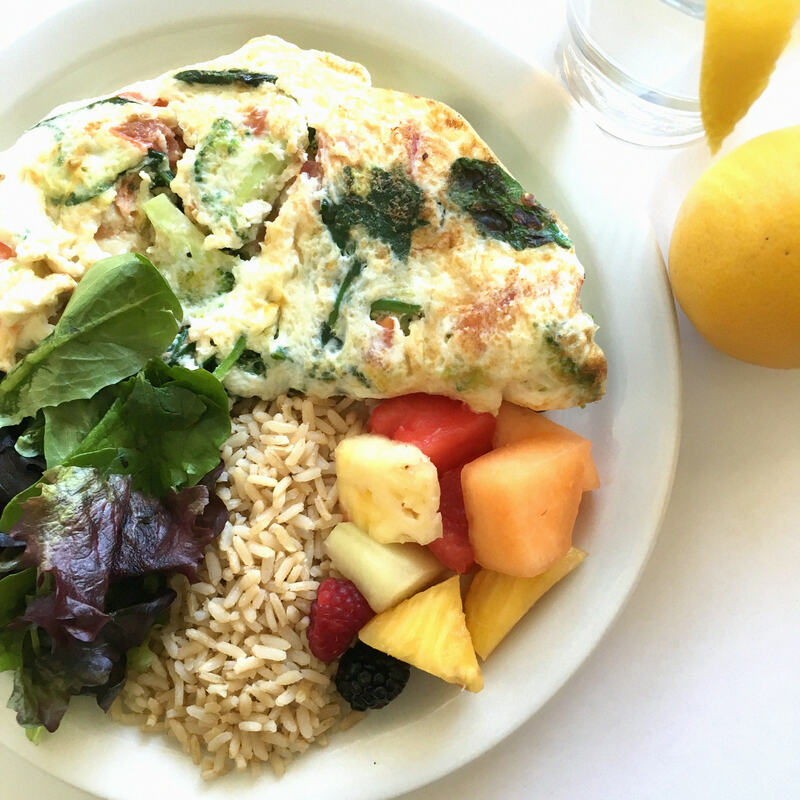 The eggs give you adequate protein, the brown rice is a healthy carb, and fruit will gives a dose of sweet vitamins. In the omelette, you should use organic eggs and seasonal vegetables. Cook it in a teaspoon of coconut oil. Here are five important ingredients that will help your energy and stamina levels. 1) Finely Chopped Kale: Kale is high in fiber and iron. 2) Broccoli Chunks: Broccoli contains Vitamin C and antioxidants. 3) Diced Tomatoes: Tomatoes are a good source of vitamins and antioxidants, which are a plus to good health. It will give a tangy wake me up taste. 4) Sliced Mushrooms: This is a great source of potassium. Slice one medium portabella mushroom and toss it in. 5) Thinly Sliced Avocado: Omega-3 and fatty acids are some of the health benefits of avocados.